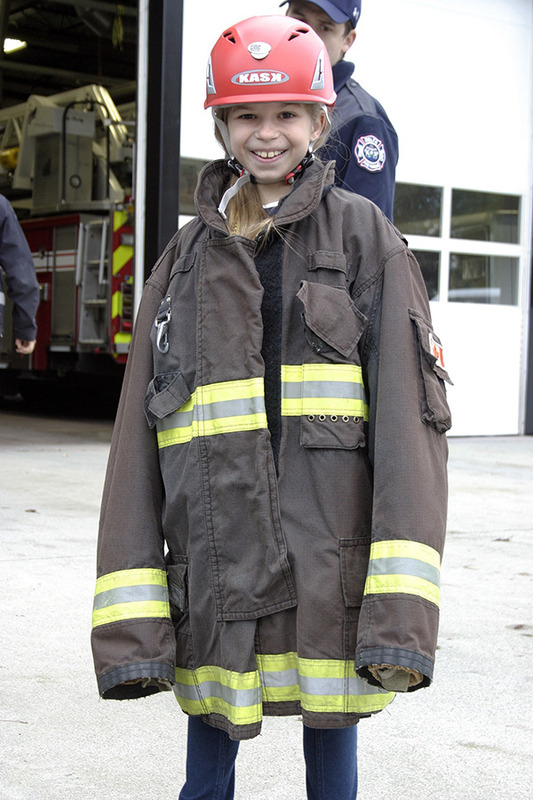 Ten-year-old Ariel Priebe of Neilson Grove Elementary spent Nov. 4 as Delta Fire's Chief for a Day. 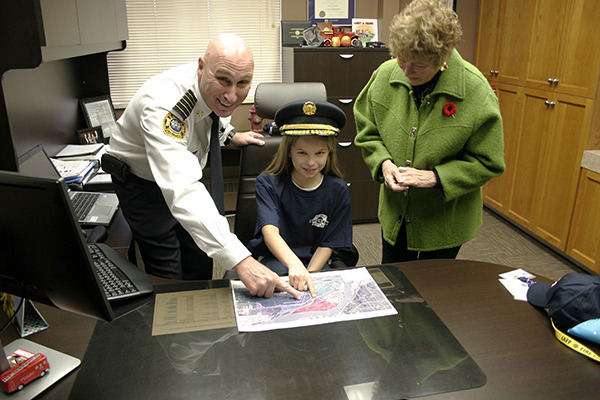 Ten-year-old Ariel Priebe of Neilson Grove Elementary surveys the area around Hall 3 from high above North Delta as Delta Fire’s Chief for a Day on Nov. 4. 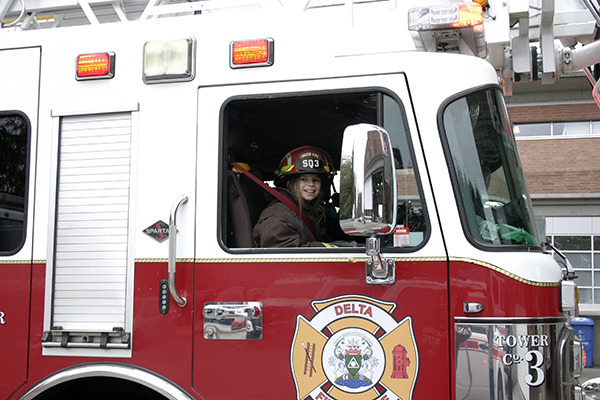 Ten-year-old Ariel Priebe of Neilson Grove Elementary spent Nov. 4 as Delta Fire’s Chief for a Day. Chief Priebe made the most of her time in office, enjoying breakfast with Mayor Lois Jackson and Delta Fire Chief Dan Copeland, touring the municipality’s many fire halls and taking in demonstrations of high-angle rescues and vehicle extractions. Far from an empty uniform, Chief Priebe made several swift and decisive changes during her tenure, including instituting more days off for those under her command and mandating department-wide ballet lessons. See below for photos of Ariel’s day in the big chair. 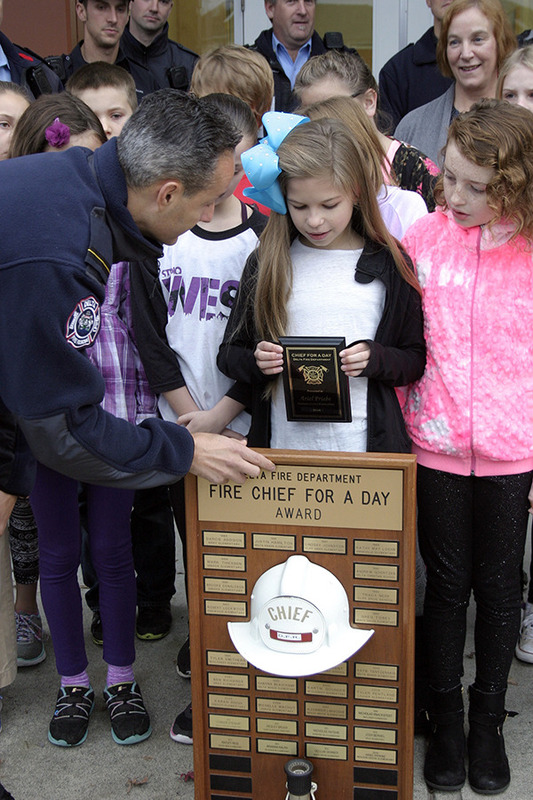 Ariel Priebe’s day started as Delta firefighters presented her with a small take-home plaque and a larger trophy to be displayed at her school, Neilson Grove Elementary, for the next year. 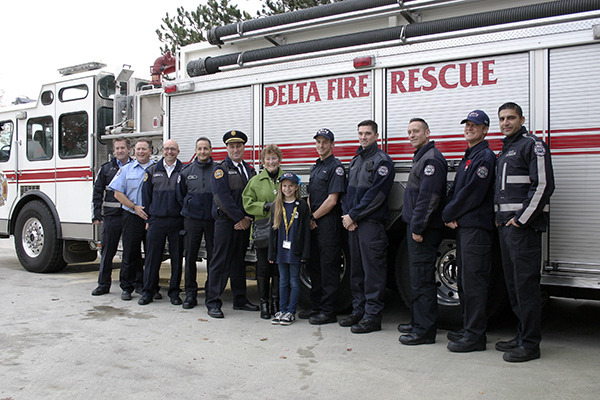 Next it was off to Hall 1, where Priebe met Delta Fire Chief Dan Copeland and Mayor Lois Jackson and received her official Delta Fire shirt, cap and badge, before the three made their way to McDonald’s for breakfast. 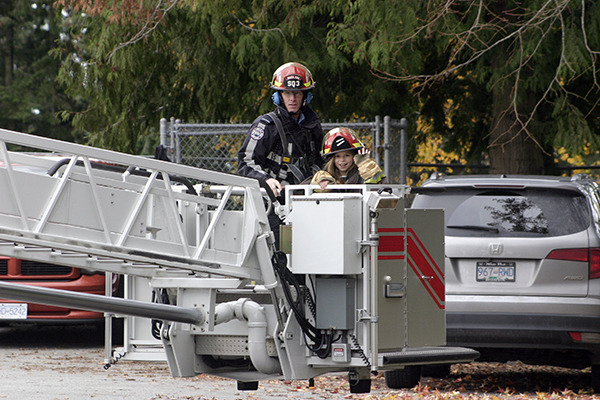 After breakfast it was off to Hall 3 in North Delta for a high-angle rescue demonstration and a chance to take in the panoramic view courtesy of the one of the deprtment’s ladder trucks. 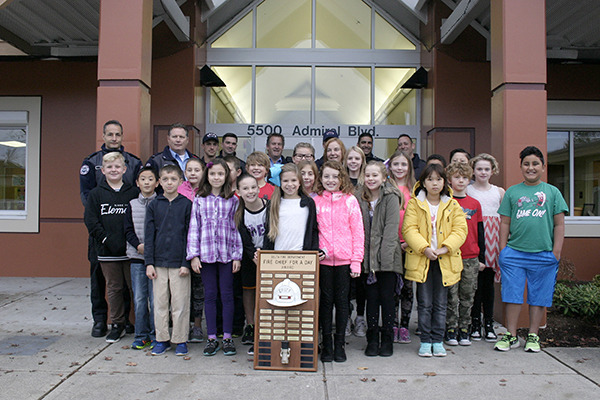 Priebe then enjoyed a “firehall lunch” provided by the duty crew at Tsawwassen’s Hall 2, followed by a firefighter challenge (think obstacle course) at Hall 7 in Tilbury and an auto extraction demonstration back at Hall 1.